The Liaison Collaborative opens with The Islands, and we're releasing three new exclusives for this round. Two pose sets, The sunny days series and the funny Do you want a pineapple? (includes the pineapples - BENTO ONLY!)... and one decoration gacha set! 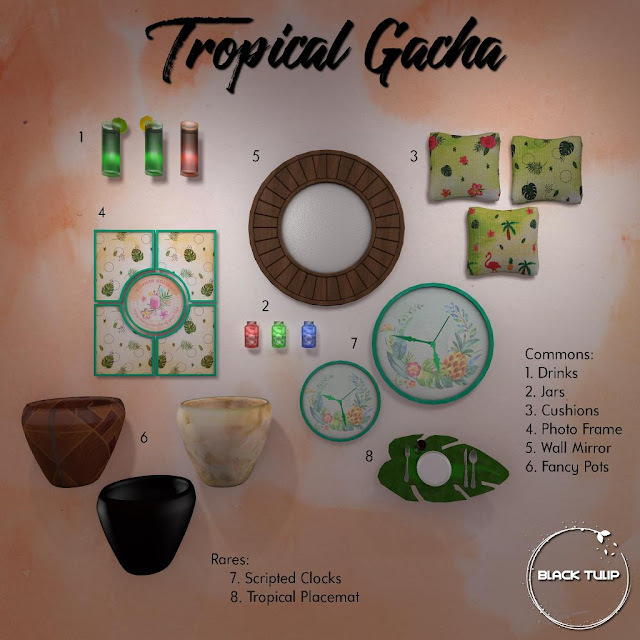 The Tropical Gacha, which we hope you like. Click here for your taxi!